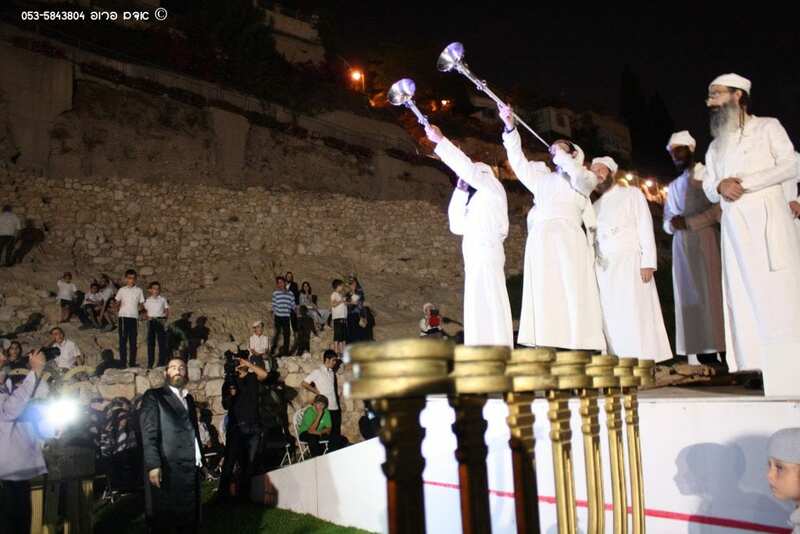 For First Time Since Second Temple: Golden Vessel Used In Libation Ceremony [PHOTO SPREAD] - Breaking Israel News | Latest News. Biblical Perspective. 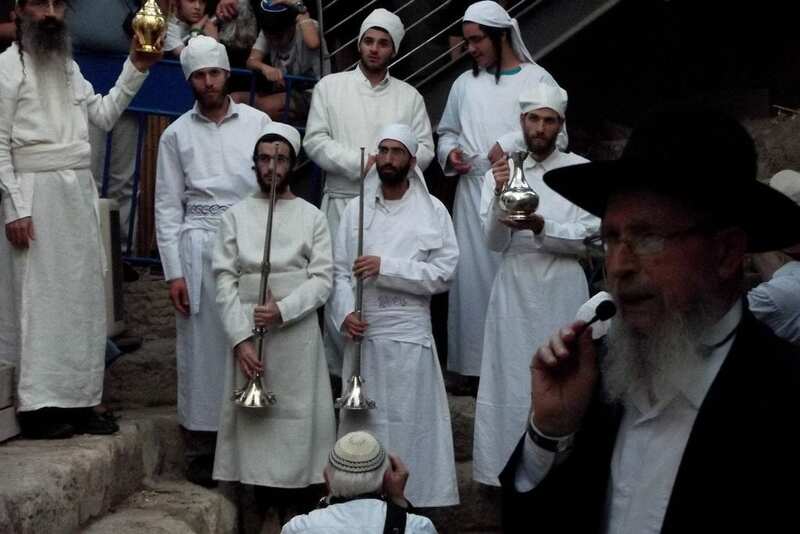 The Kohanim wore vestments that were made according to Biblical standards for use in the Temple and several played long silver trumpets that had been prepared by the Temple Institute for use in the Third Temple. 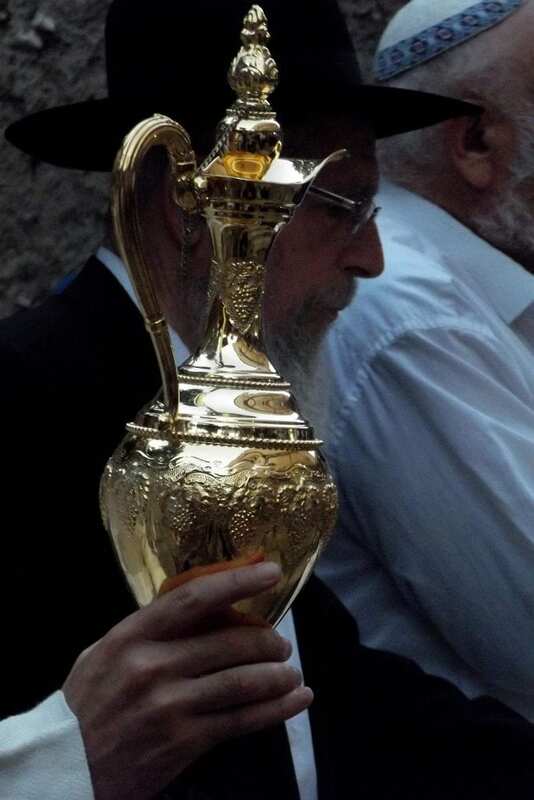 One Kohen carried a silver vessel used for the libation while the High Priest carried a spectacular gold vessel prepared this year for this year’s service. 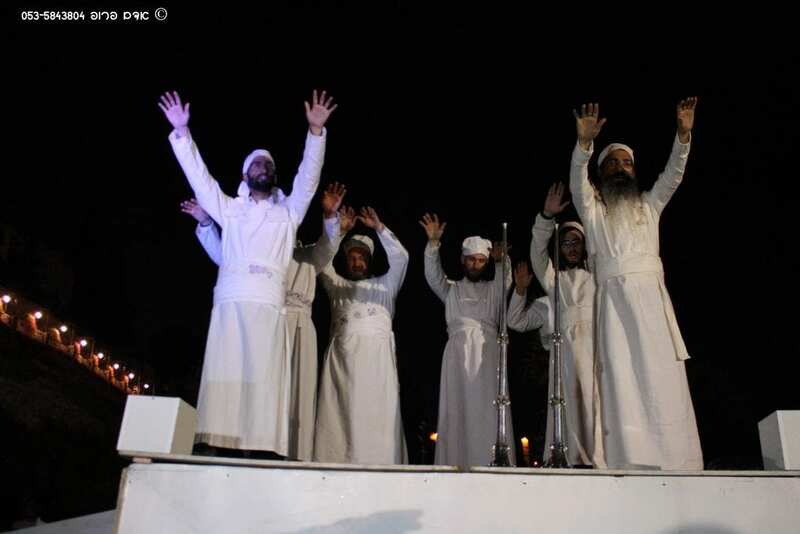 “A vessel like this has not been seen since the Temples stood,” Rabbi Hillel Weiss, spokesman for the Sanhedrin and an organizer of the event, told Breaking Israel News. The procession then climbed to a plaza overlooking the valley, where a model altar had been constructed of wood. The ceremony, carried out precisely as it was performed in the Temple, took place closer to the Temple Mount than any other Temple reenactment thus far. An equal amount of water and wine were poured into two separate containers. 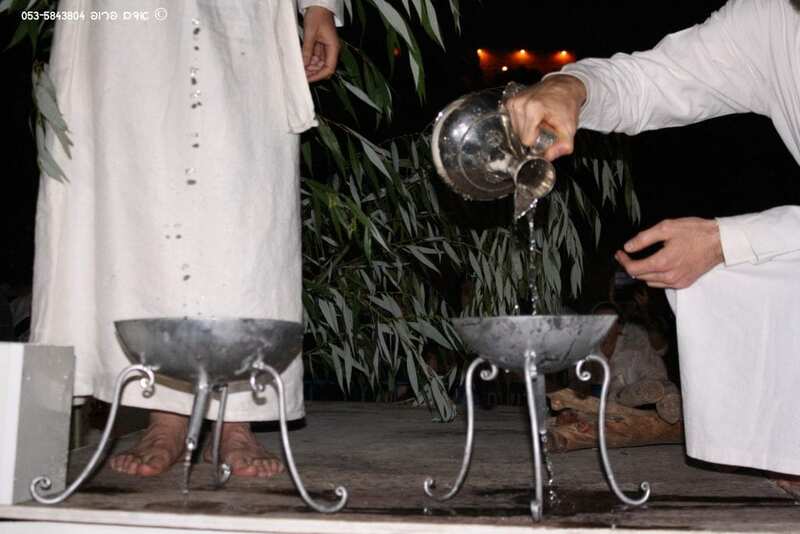 The two liquids then spilled out onto the altar through openings in the containers. The reenactment altar was decorated with large branches from a willow tree to replicate how the altar in the Temple was decorated for the holiday. This was followed by the Priestly Blessing. 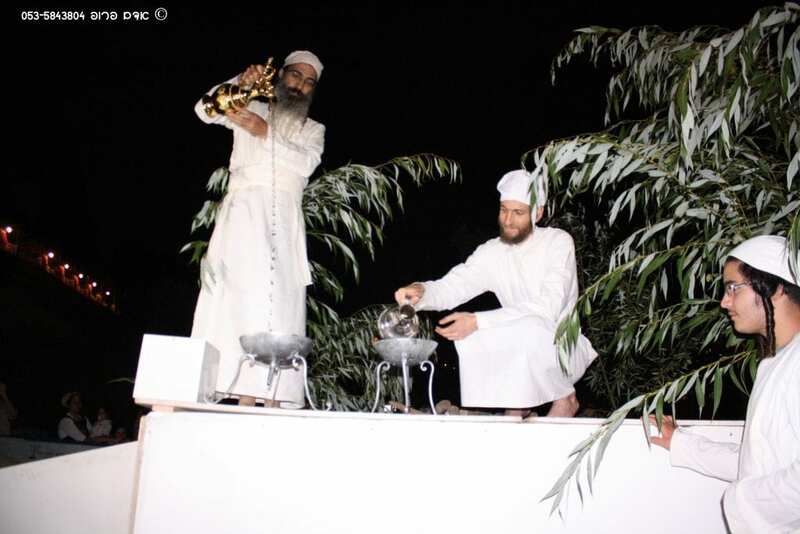 In Temple times, a libation of water was made together with the pouring out of wine at the morning service on the last six days of the week-long Sukkot holiday. 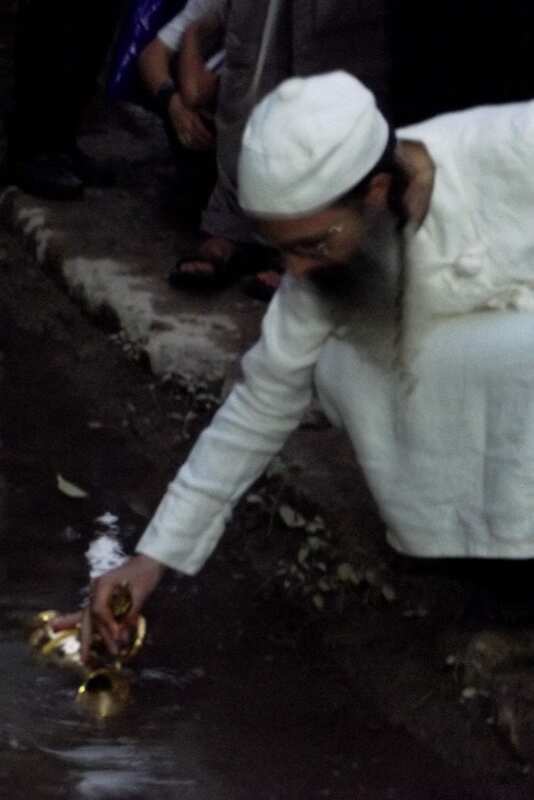 Though not explicitly mandated in the Torah, the water libation is part of the oral tradition passed down from Moses. Sukkot is a joyous holiday and the water libation was the focal point of this joy. In the Temple, the ceremony would take fifteen hours with accompanying celebrations lasting all night until the Temple service began again the next morning. “This must necessarily be done from a Biblical basis and from Jerusalem,” Rabbi Weiss said, citing a verse from the Prophets. 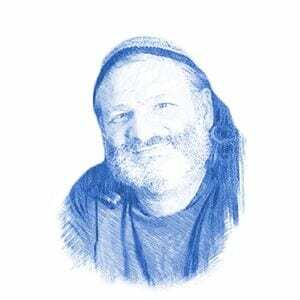 In the meantime, the rabbis will be studying the relevant laws and the Kohanim will be preparing for the ritual.